On June 6-8, 2016 the international Smart City conference Greater Copenhagen Smart Solutions: Living Labs for Liveable Cities took place in Copenhagen. The Smart City conference focused on how we create liveable cities with focus on people and spaces, the need for public private partnership that also involves citizens, and how disruption will chance and challenge the market as we know today. 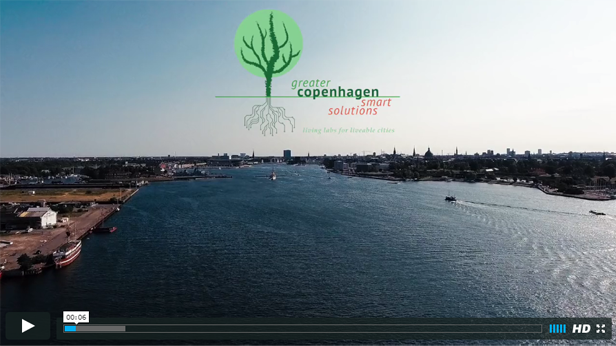 Greater Copenhagen Smart Solutions offered a firsthand experience and understanding of Living Labs as a method to create smarter and more liveable cites by testing solutions in different surroundings. During the conference the participants had the opportunity to see Smart City solutions implemented in Living Labs around Greater Copenhagen. The conference’s breakout sessions focused on Living Labs as an outlet for scaling urban solutions and as a method for creating smart cities. The attendees counted national and international decision-makers, employed at both municipal, regional and state level, along with CEOs and relevant organisations. In 2014 the municipalities of Copenhagen, Albertslund and Frederikssund signed a Memorandum of Understanding with Cisco. This pioneering, interdisciplinary collaboration set the framework for an innovation platform that tests and implements the latest Smart City solutions in real urban spaces. In order to position the new and most innovative Danish Smart City solutions both nationally and internationally the three municipalities, along with Gate 21, hosted an international Smart City conference in Copenhagen, Greater Copenhagen Smart Solutions 2016: Living Labs for Livable Cities.